The service quality and work culture define the character of our company. As a family owned business, we take our reputation and customer service very seriously. You are not a number, or just a 'client' to us. We value and cherish every professional relationship we make in the process. We promise to provide you with nothing less than perfection! Guaranteed! Our friendly team is always available to answer any of your questions and help you make an appointment. Do not become a part of the 'system'. Call Cleaning Mate, the carpet cleaning brisbane company, today and be understood. The company is family owned and operated ensuring you receive the same and exceptional service each and every time. By continuously improving our procedures and having trained and motivated team members we are committed to safe and healthy working environment. We also respect consumer privacy and your personal information is never shared with third party. We are environment conscious carpet cleaners and we do our bit to save the nature by using environment friendly bio degradable products. Cleaning Mate is a trusted and long-standing family owned business. We take our reputation and customer service very seriously. 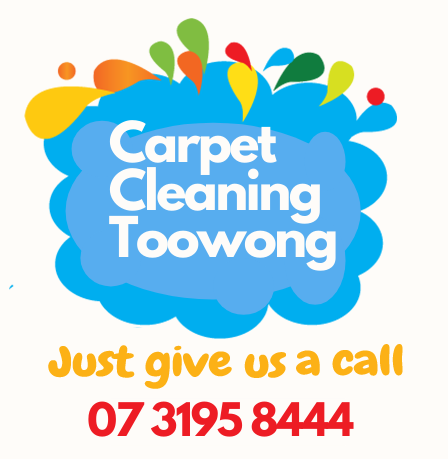 We have been operating for the last 9.5 years in the Brisbane area, and we are excited to have now expanded our services to Carpet Cleaning Toowoomba. Cleaning Mate Carpet Cleaning Toowoomba can clean the carpets in your office or workplace today. We are one of the best Carpet Cleaning companies when it comes to quality and price! Contact us today for a free quote. We look forward to hearing from you soon! We offer several services, including Rug Steam Cleaning, Mattress Steam Cleaning, and Upholstery Steam Cleaning. We can Steam Cleaning your Rug today from just $49! Cleaning Mate is one of the best when you need your Carpet Cleaned Toowoomba for a refresh clean or end of lease. Our results reflect our 9.5 years of experience. We introduced a 5 days backup/warranty for all our carpet cleaning services so that our customers are satisfied. We provide two types of pest control services, depending on what you need. Our General Pest Control targets things like Moths, Spiders, Silverfish, Cockroaches, etc. Our Flea Pest Control is specifically targeted for fleas. Cleaning Mate Carpet Cleaning Toowoomba services at radius of about 20km from the Gold Coast CBD. We offer several services, including Carpet Steam Cleaning, Pest Control, Rug Steam Cleaning, Mattress Steam Cleaning, and Upholstery Steam Cleaning. We have been successfully been operating in the Brisbane for last 9.5 years, and have expanded our services to Logan, Redland Bay, and Ipswich areas, and now Toowoomba! Contact us today for a free quote. Who knows Cleaning better than your Cleaning Mate Carpet Cleaning Toowoomba. Cleaning Mate offers a wide range of Steam Cleaning services, but we also offer Pest Control at an affordable price for your convenience. Any pest control job is back up with a 6 month warranty/guarantee. Cleaning Mate has offered high quality cleaning services for businesses of all sizes. Our cleaning services have always been preferred by property and building owners, management companies, and numerous other commercial enterprises to maintain the cleanliness of their office flooring space. You'll find our team friendly, approachable and very professional, just like your Cleaning Mate. We provide services for Garden waster, branches, tree and bush clipping removals in Toowoomba. The Cleaning Mate Carpet Cleaning Gold Coast team are professionally trained to IICRC standards. Our job satisfaction guarantee is a standard feature that we offer, because we believe that customers deserve a peace of mind after the move out - move in process.